Succession is a matter of great importance for our clients and at John Lanigan and Nolan Solicitors the affairs of our private clients have been in safe hands for over 100 years. 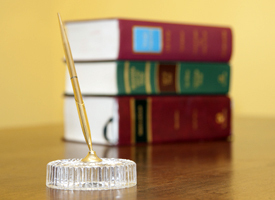 Our team has developed precision and expertise in all legal aspects of wills, probate and estate planning. Making a Will is a daunting process for many people but with the right guidance and advice the solicitors at John Lanigan & Nolan can draft a Will that will protect your loved ones and effectively address potential tax liabilities. Dealing with the affairs of a deceased person can be a difficult time for families. The considerable experience of our solicitors will guide those dealing with the administration of an estate of a loved one on their passing. At John Lanigan & Nolan we are also mindful of the need to protect our elderly and vulnerable clients. Please don’t hesitate to contact us if you require further information.